Jenkins Custom Homes celebrate 25+ years designing and building award-winning luxury homes. As Custom Builder of the Year in Texas, Jenkins was recently featured in Texas Builder & Austin Business Journal as one of the area’s premier custom builders. This is the third time Jenkins has been named Custom Builder of the Year. Having an in-house design team alongside the construction & engineering team has proven to be the winning combination. 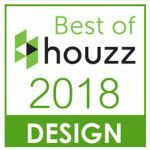 Since 2004 Jenkins has won international, national, statewide, and regional awards for design, craftsmanship, outdoor living, overall business acumen, and more. One of the recent Jenkins Parade Homes, featured in the Winter issue of Dolce Vita magazine, won Best Custom Home in the state of Texas and featured over 7,000 square feet of luxury overlooking Lake Travis. The Treehouse was also nominated for an HGTV Fresh Faces of Design award. "We are very glad we used [Jenkins] to build our new house. I highly recommend them and would use them again without hesitation."